Courtesy of INVESTOR’S REAL ESTATE LLC. 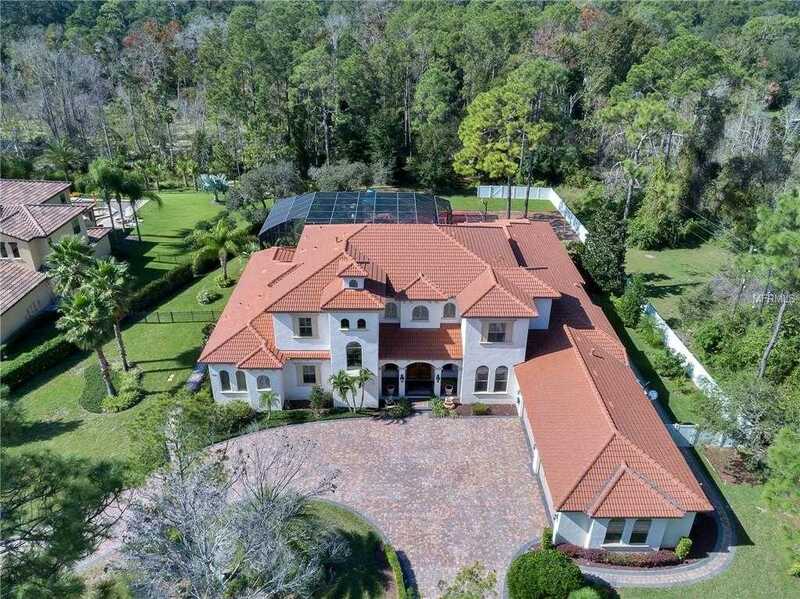 Stunning 7000sf Mansion in gated community in Lake Mary! 5 minute golf cart drive to Heathrow County Club or Legacy Country Club! This home is located on an exclusive circle right off Markham Woods Road. Walk in to the grand foyer overlooking the formal living room with marble flooring and view of the entire backyard and pool area. Large formal dinning room with marble flooring and wet bar. Custom cabinets will welcome you in the chef’s delight kitchen with walk-in pantry, butler’s pantry, breakfast bar, large kitchen island with sink and high end appliances Substantial master suite and 5 additional bedroom suites all with walk-in closets and private bathrooms. All bathrooms are furnished with bidets! Huge family room upstairs with balcony, office area, kitchenette and second laundry room. The home also offers two offices/dens and an additional powder room. Resort style pool area with water slide, spa, outdoor kitchen with eating area, gazebo, playground, picnic area and basket ball court. There are 10′-13′ ceilings throughout, oversized 4-car garage with built-in cabinets and a backup generator to cover the entire home if needed. Please, send me more information on this property: MLS# O5754468 – $1,590,000 – 312 Pecan Ridge Pt, Lake Mary, FL 32746. I would like to schedule a private showing for this property: MLS# O5754468 – $1,590,000 – 312 Pecan Ridge Pt, Lake Mary, FL 32746.